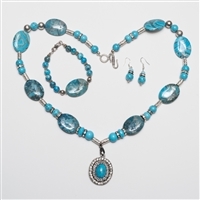 Beautifully handmade Leaf shape bead necklace accompanied by earrings. The length of the necklace is 25". 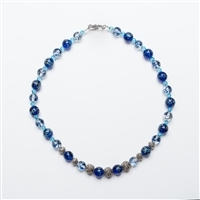 Beautifully handmade Crystal necklace with a silver S hook. The length of the necklace is 20".